Cadillac has announced that order banks will open in November for the 2019 ATS-V Pedestal Edition and 2019 CTS-V Pedestal Edition cars. The cars share some of the same features like the special Bronze Sand Metallic paint, After Midnight wheel finish, and black chrome trim and grille surround. Both cars have red Brembo brake calipers and while all ATS-V coupes get the Carbon Fiber Package as standard, the CTS-V Pedestal Edition cars also get that same package. Inside the cars have Recaro seats in jet black semi-aniline leather with light wheat micro-suede inserts, carbon fiber interior trim, and bronze threading. Both Pedestal Models come with the Performance Data Recorder video-data system and the CTS-V gets a rear camera mirror. 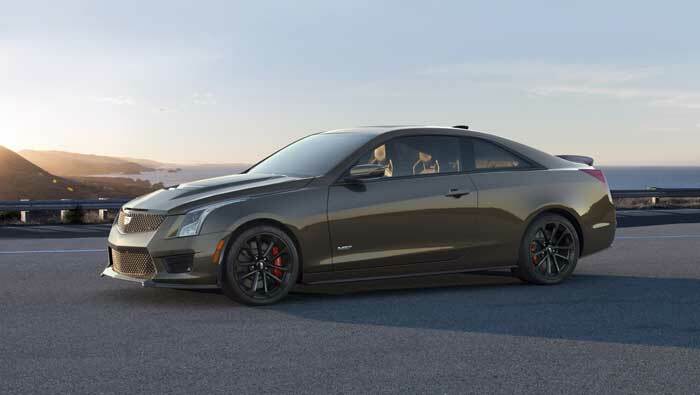 Production starts in November with the 2019 ATS-V Coupe Pedestal Edition starting at $77,090 and the CTS-V starting at $102,590.